There are 6 reviews of White Flowers. I suddenly realized which perfume is the soul sister of this- it is the crisp green apple of 'D&G Light Blue'. And the sharp clean Jasmine with the white musk. I'm surprised at the lackluster reviews for this one. I first fell for 'Jardin D'Amalfi' but this one has moved into first place. I just love the sharp green violet leaf here. Such tang and spark. 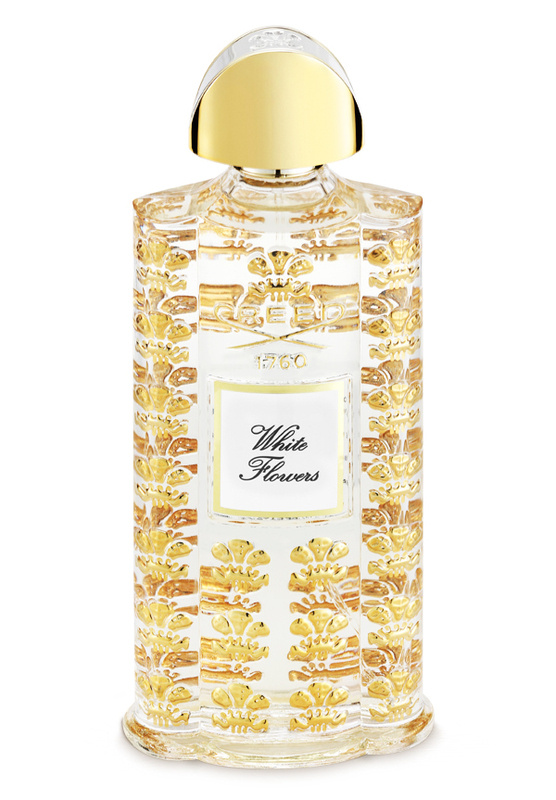 The surprise here is that for a white floral, this is fresh, not cloying. A real springtime treat. I get good silage and longevity, too. 2-3 hours. This is beautiful and very natural-smelling. The opening is a crisp slice of green apple dropped into lemon water, followed quickly by a heart of white jasmine petals. The jasmine here is pure and non-indolic, a daytime version of jasmine rather than the night-flowering, sultry stuff. For a while, the central accord feels fresh and almost waxy in texture. It is so realistic that you can almost visualize the creamy white jasmine blossoms surrounded by their green, waxy leaves. The waxy feel fades off, revealing a more bog-standard jasmine accord (more lush than before), but it's still all very nice. The dry down is a white, inoffensive musk. It's a lovely perfume. Nothing exceptional, mind you, and certainly not original. But for a fresh, natural-smelling, feminine jasmine for the daytime hours, I guess this can't be beat. I have only smelled a few Creed perfumes - this, Virgin Island Water, and Jardins d'Amalfi - but all of them have had this signature running through them that I feel I could recognize if I were to smell one blind. I would categorize this signature as very fresh, watery, and natural-smelling, but also rather simple, linear, and weak in terms of projection and longevity. But I can definitely see the appeal of Creed to a large segment of the population (general population, as well as the fragrance community) - they smell classy, they are quite delicate and beautiful, and above all, they are safe rather than challenging. Gorgeous opening with a lot of apple blossom with a smidgeon of lemon cream. The drydown enters with violet and a convincing geranium note, with a lovely jasmine added later - a rich summery bouquet of delicate elegance. In the base I get white musk - the end phase being more linear than the earlier stages. Beautifully blended of ingredients of the highest quality, with decent silage and projection. I get a longevity of nearly five hours, which is SFC = superb for Creed. 3.75/5. Cons: Base is little bland"
If you didn't like Laura Ashley1, Dilys or YSL Paris in the 90s, then you're not going to like this. It's as if someone put those 90s scents into a Waring blender and named the decant "White Flowers." I kept waiting........and waiting. And still waiting. But Creed White Flowers showed zero depth and variation on me. Apart from the transition from a brief stinky flower opening to the monotonous zone of a one-dimensional floral conglomerate, this fragrance was flatline. Too bad, because silage and longevity were above average, especially for a Creed. I love this fragrance from the top notes to the dry down. It is very feminine and beautiful. My only concern is that it fades quickly. Creed White Flowers Les Royales Exclusives 2.5 oz 75ml ~ New Opened Box ! !